Much like The Grand Entrance, the Shelter House No. 1 was built during the initial phase of park development between 1904 and 1905. The architecture of the shelter house was distinct with its two observation towers created from limestone quarried in the park. The shelter house has undergone many changes over the years. 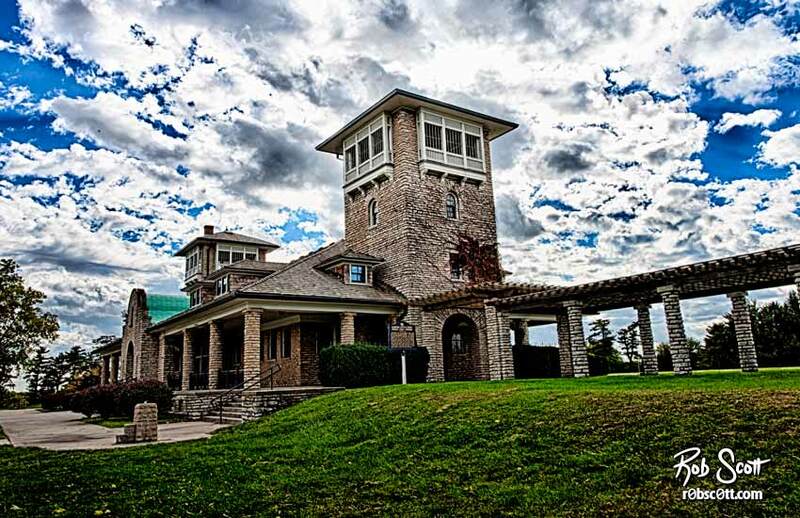 When a golf course was added in 1906, the shelter house was used as a clubhouse for the course. In 1977, it was renamed the Swope Interpretive Center featuring information and exhibits about the park. In the 90s it was used as office space for the park and Starlight.